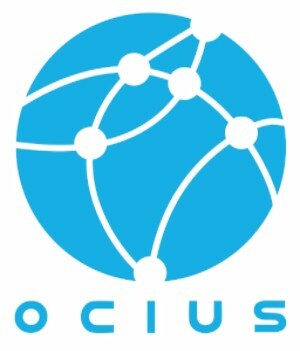 OCIUS Technology’s ‘Bluebottle’ ocean drones are Unmanned Surface Vessels (USVs). They are named after the Australian marine animal that lives at sea and uses it’s body as a sail. They harness the energy of the ocean, solar, wind and wave action to power themselves allowing them to stay at sea almost indefinitely and move forward under all conditions. The Bluebottle’s patented ‘solar sail’ collects both solar and wind power, so it can sail when the wind is blowing or use solar power to drive its motor. If there is no sun and wind, the Bluebottle’s patented flipper and rudder appendage under the water steers and drives it forward against the waves. This means Bluebottles have a ‘speed of advance’ under all conditions. The result is an autonomous data gathering and communications platform, a “satellite of the sea.” The Bluebottle can roam the oceans almost indefinitely allowing defence, industry, and scientific personnel as well as border security and the oil and gas industry to monitor large areas of ocean at greatly reduced cost and with no one in harm’s way. Compared to conventional fossil fuel powered, manned and unmanned craft, Bluebottles can operate continuously, at low cost and are almost silent. Compared to other renewable energy powered USVs, Bluebottles are superior having more power, payload and performance, all in the one vessel. Bluebottles have a massive 200 – 300kg payload capacity that can accommodate a variety of sensors or more batteries. The technology has been developed with assistance of a $3 million contract from the Commonwealth’s Defence Science and Technology Group (DSTG) Strategy Policy and Intelligence group, which has transitioned since into the Defence Innovation Hub.